Confession. Okay, so anyone who knows me knows that I am in total need of a vacation here lately. And ever since visiting the Caribbean on our honeymoon a few years back I can't help but dream of a return trip. Ever heard of Ocean Club Resorts? Please tell me that you have? If not, let me introduce you to a very special place. Ocean Club Resorts are two sister properties: Ocean Club and Ocean Club West. The Resorts sit on Grace Bay Beach on Providenciales in the Turks and Caicos Islands . Ever visit the Turks and Caicos islands? Okay, well, I highly recommend that you do. Not only has it consistently ranked as one of the best beaches in the Caribbean by a variety of organizations including Trip Advisor, Travel and Leisure and World Travel Awards, but can I just tell you how picturesque it is? A true tropical paradise, I tell you. 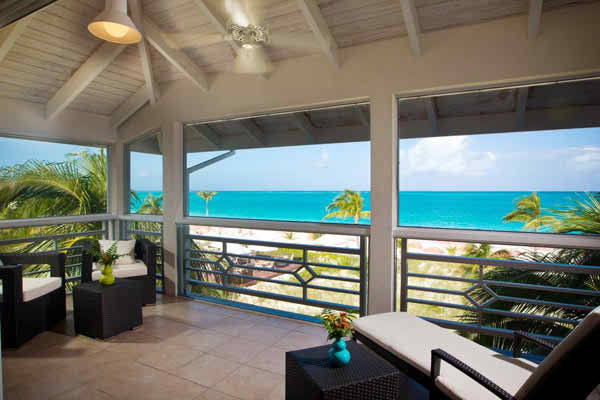 Located at the eastern tip of Grace Bay, Ocean Club offers more seclusion than most hotels on the 12-mile stretch. Championship golf is adjacent at the Provo Golf Club. Ocean Club West sits in the heart of Grace Bay Beach near dining and shopping. Both Resorts offer hotel amenities with Deluxe accommodations that include Studio, Studio Deluxe, Junior, One, Two, and Three Bedroom Suites. Lounge by the pool, partake in a watersport, or treat yourself to a relaxing spa treatment (or two). Honestly, the choice is yours at Ocean Club! And with two dining options including fine dining at Opus Restaurant or beach side dining at the Cabana Bar & Grill, you'll have flexibility depending on what you're in the mood for! Located on the same pristine stretch of Grace Bay, the slightly newer Ocean Club West is one of the most centrally located resorts within walking distance of restaurants, shopping and a grocery. The room categories are the same with the exception that OCW does not offer Studio Deluxes. Can't decide which one to stay out? No worries! Their motto is, “Stay at one, be our guest at both!" Which means they give their guests the opportunity to enjoy all facilities, amenities and dining of both resorts with a complimentary shuttle service. Guest consistently say that while there is plenty to do the best part is doing nothing at all! They enjoy the many complimentary amenities at OCR, and relaxing under one of their pink signature umbrellas, taking in the beauty of Grace Bay. Just one look at these pretty pictures and you might find yourself with the urge to start packing your bag! WEDDINGS and HONEYMOONS are featured with special packages that can be easily customized to fit the couple's wishes. Their wedding contact, Julia Maximo, is available to help plan the perfect experience (call 800 457 8787 / julia@oceanclubresorts.com). Julia will refer the best on island wedding planner for the type of wedding experience desired. She will offer a variety of accommodation choices and guide you through the event planning process. Need help planning the honeymoon? Ocean Club can help you book a trip to a secluded Island with beach lounges, umbrellas, and a picnic lunch. Or perhaps a snorkeling or diving trip? Whatever you decide, a wedding at Ocean Club Resort is sure to be a memorable one! BRIDAL SWEEPSTAKES! Dreaming of a Caribbean honeymoon? Well, dream no more my loves. Because Ocean Club Resort is going to make this fantasy a reality for one lucky couple! Daily Breakfast Vouchers for two. Enter here. Please note, your stay must be booked between August 1 – and December 20 2014 or August 1 – December 20, 2015. Value is $3500 but may NOT be redeemed for cash. 9 Comments " Sponsored Post | Ocean Club Resorts "
These resorts look pretty fab! I really want to go to the Turks & Caicos. I've heard great things - it looks fantastic here! I have recently visited this resort and it was a great experience staying over there. Thank you for posting up this sweepstakes! Turks and Caicos was absolutely beautiful! It was such a blessing to see such a beautiful place! So romantic place, like it!! !